Places that are not Vancouver are all weird and flat, so if you get up really high you can see for miles. There are a number of places you can go for a great view, and seeing as I am now an expert in great views (having seen three in as many days), I thought I’d share my findings with y’all. One New Change Place is free and self-service all the way. It’s also the lowest rooftop terrace I went to, but that doesn’t mean it’s not worth a visit. 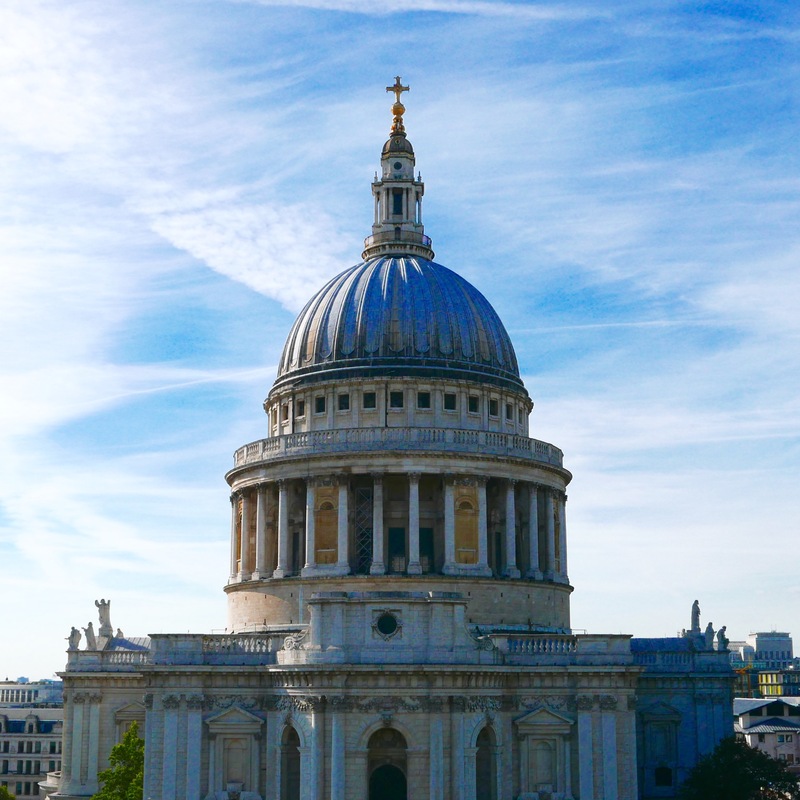 Located directly behind St. Paul’s Cathedral, people are free to take the elevator up to the roof and have a look around. There are a couple of cocktail bars up there if you’re fixing for a sky drink, but you aren’t obligated to purchase anything. 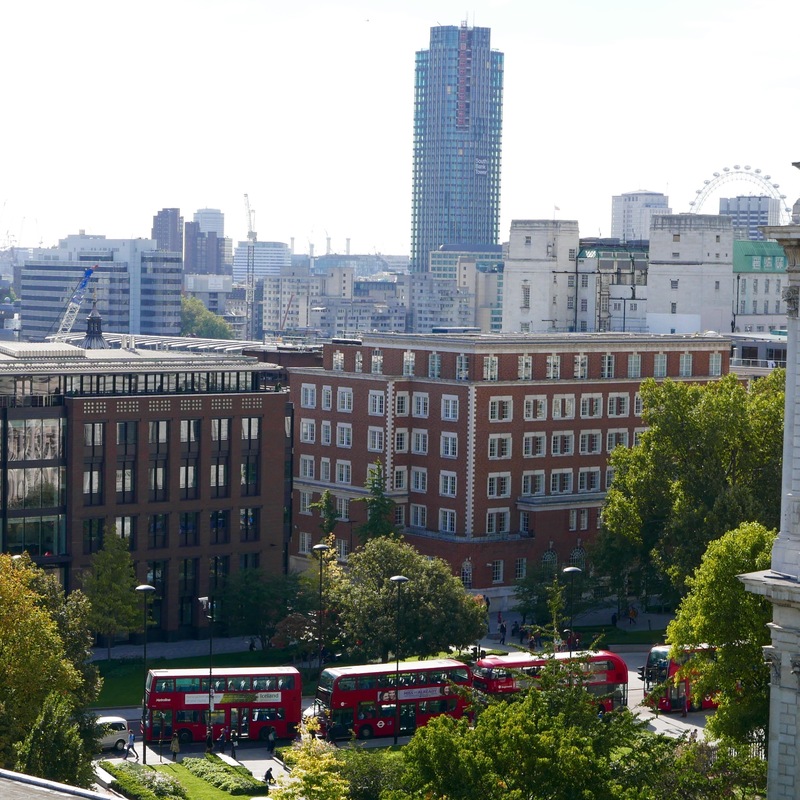 Great views of the Tower of London and St. Paul’s can be had here, and if you’re as lucky as I was, you’ll encounter a class of ESL high school students on a field trip to read their essays on London’s notable sights aloud. 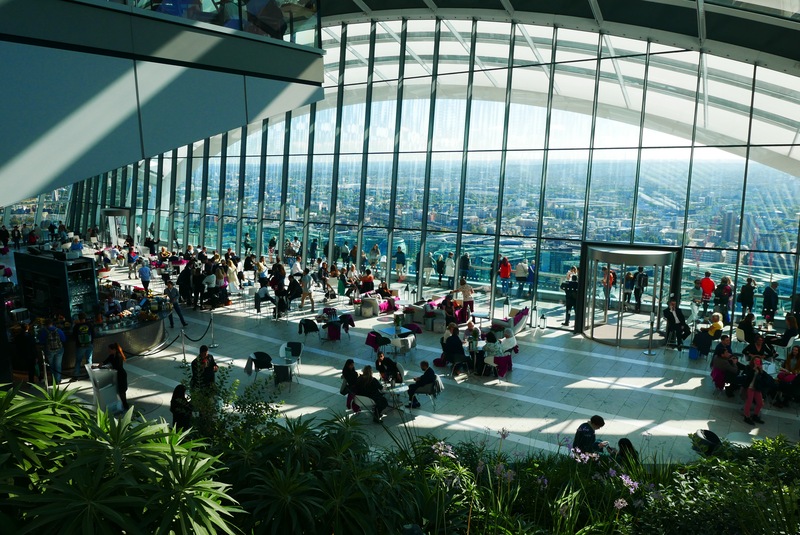 I am tempted to return to the Sky Garden in the evening before the end of my trip. It was really cool. All the bathrooms are on the 68th floor, and along the exterior of the building. They’re each a self-contained unit with toilet, sink, dryer, etc. I literally took this photo WHILE PEEING. IT WAS THE GREATEST THING IN THE WORLD. There are blinds you can draw, of course, but WHY WOULD YOU. WATCH ME PEE, WORLD! I AM LITERALLY ON THE EDGE! That bathroom was worth the price of admission alone. I highly recommend it. That bathroom, though. So good. If you prefer your city views to have a little more history behind them, there are two others I know of: you can climb the Monument to the Great Fire of London (£4), or climb the various domes in St. Paul’s (£18). I have not done these – note the use of the word climb; these attractions are stairs-only and I have a heart condition (and also have walked an average of 8 hours a day for the past week and my blisters have blisters), so I’m skipping these. Plus, I’m kind of all viewed out at the moment. You should see the other pictures. Do you know of any other must-see vantage points in London I should check out while I’m here? And if you ever find yourself at one of these places because of my recommendation, please let me know – I’d love to know what you thought. Okay, I need to sleep. Tomorrow: museums! Yay! 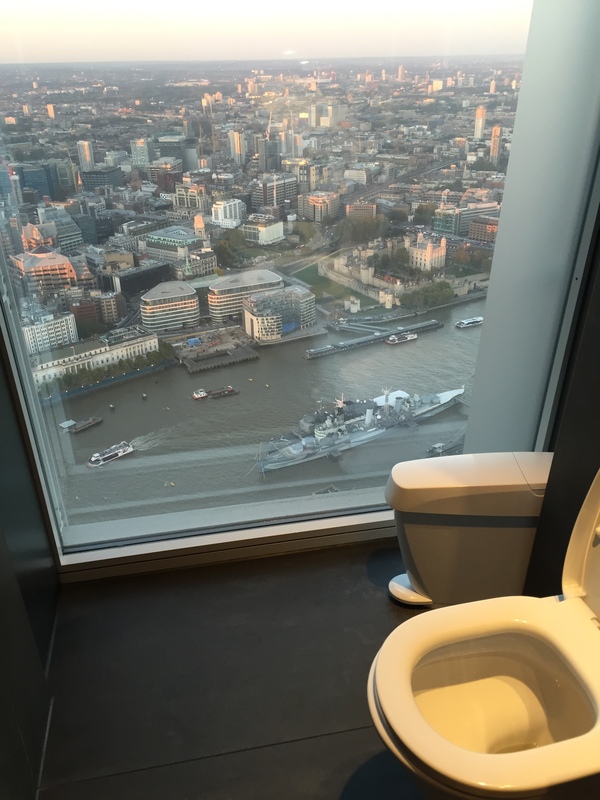 Holy snackers is The Shard expensive to grab a view. Well, by far a solid view. Especially at night. With some of the coolest cans with a view. But holy snackers! Do you get anything more than the view for that price? Nope :) You’re allowed to stay as long as you like, but that’s it. 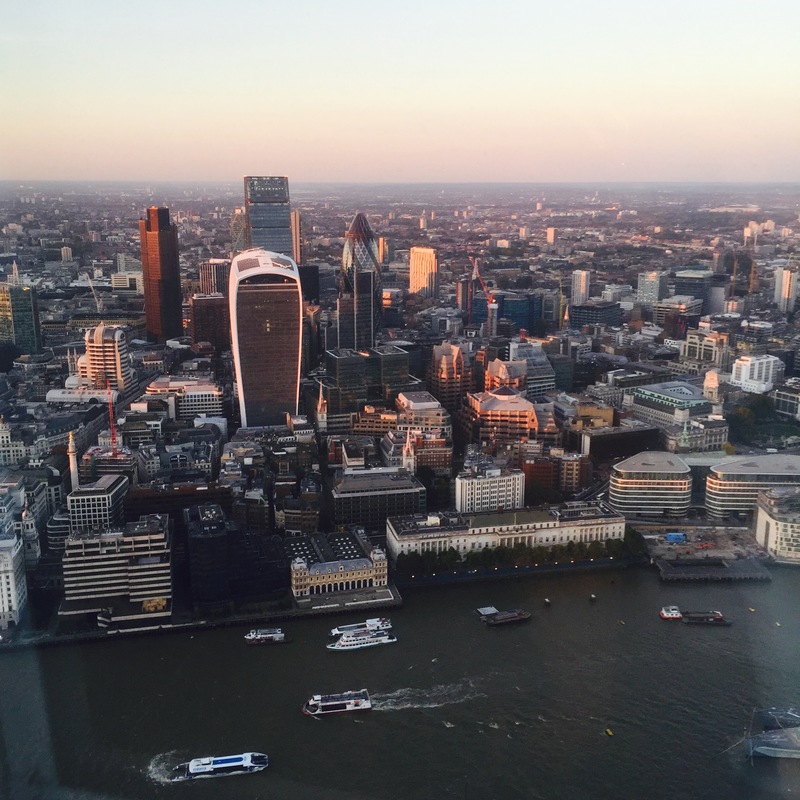 I think there are (expensive) restaurants and stuff you can make reservations for that include the Shard Viewing Platform, but they’re 2-3x the price. Was there WiFi at least?